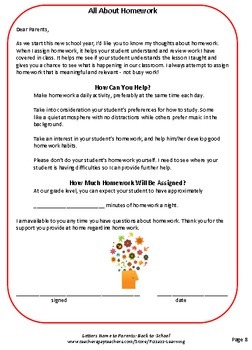 Save time during those hectic, busy, first weeks of back-to-school! 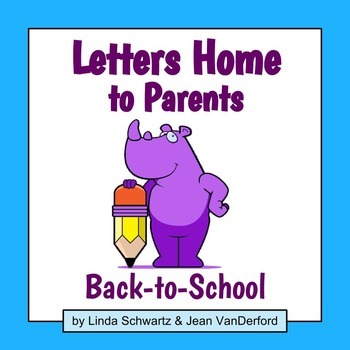 Here are ready-to-use, practical letters and notes to send home to parents. 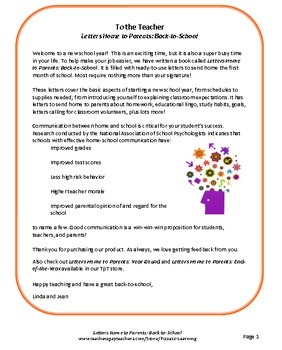 These letters are fantastic time savers and a great way to promote great teacher-to-parent communication! 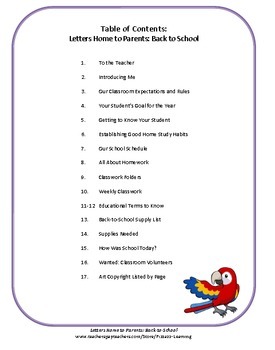 Please see the preview for an example of Letters Home to Parents: Back-to-School. 15. How Was School Today?